We bring you this wonderful course on Agile and Scrum Certification Training. This detailed course will help you understand all the important concepts and topics of Agile and Scrum Certification Training. One of the most revolutionary project management approaches to ever grace the surface of the project management world, Agile management or Agile project management took the field of software development nearly by a storm. In the yesteryears, software development was rampage with traditional project methodologies that restricted a great deal of flexibility, which was needed by these projects and their functioning. Changes were kept at bay and weren’t incorporated when the situation demanded of it and risks were never factored. The way these traditional methods flowed didn’t allow a project manager to conduct unit testing for entire sections of the work and have the implementations based on the results of these tests. There was a kind of rigidity. The number of failed projects was higher and there was a desperate need to get out of that vicious circle. Agile is an umbrella term for all different models and techniques within Agile development paradigm. Putting together all the lessons learned during unsuccessful projects, Agile rose to be an iterative and incremental process deployed to manage the design and build activities for not only software but also different engineering, IT, and new product or service development projects in the most flexible and interactive manner. Customer Satisfaction – The highest priority for Agile projects is customer satisfaction and fulfillment of customer needs and demands. This should be achieved through the continuous and on-time delivery of high-end products or services. Changing Requirements – Project requirements change and in order to accommodate these ad hoc changes we should consider the iterative process provided by Agile. Frequent Delivery – Delivery of software (or products/services) should be frequent with greater preference given to timescales that span a shorter period of time. A measure of Progress – An Agile project output should be working software; working as per the objective it’s slated to achieve. Sustainable Development – Agile encourage work in short productive burst rather than a prolonged winding road. Close Co-operation – The management and the executives, specialist need to work cordially to make an impact on the project on a daily basis. Motivated Individuals – Provide motivated individuals the environment they need to thrive and make the project their own for better, efficient, and benefitting results. Face-to-face Communication – Face-to-face communication is thoroughly encouraged by Agile project management as it is proved to be the most effective way of conveying important information. Technical Excellence – Along with continuous delivery, continuous technical excellence and better, improving designs promotes agility within the project. Simplicity – Over-complicating and magnifying issues rather than solving them in the simplest way possible isn’t going to help the project. Keep It Simple, Silly. Self-organizing Teams – Allow room for creative and allow teams to self-organize themselves into efficient functional groups to increase performance. Regular Adaptation – Learn from lessons and fine-tune yourself and the team at regular intervals to take in the learning and implement them. A product owner or project manager heads a project to yield a particular result. It is them who create a prioritized list called a “product backlog” that enlists all the tasks completed, to be done, and requests for immediate or certain level of activity. Team collaboration is key in the Scrum framework and team members are involved in the planning of the tasks and activities to be undertaken. During the planning of the sprint, the team along with their project manager takes the top-most chunk of tasks that are manageable from the list. This chunk is now called the “sprint backlog”. The team along with project manager decided the course of action on these tasks and activities, and the plan is born. The team allocates a time period to this sprint backlog and the sprint kicks off (usually two to four weeks); heading towards the completion of work. Every work day a 10-mins meet (daily Scrum) is conducted to check on the progress of the work and the team. A Scrum Master heads this daily Scrum and keeps the team from deviating from its goal. Each sprint should yield a shippable product, and this product or part of a product should be ready to be handed over to the customer/client for use. This deliverable is a standalone product of the sprint. On completion of the sprint, the entire sprint is carefully reviewed for any learning to be noted and acted upon. These lessons are implemented and taken care of for the coming sprints. The entire process restarts from step 2 and Scrum is successfully implemented. 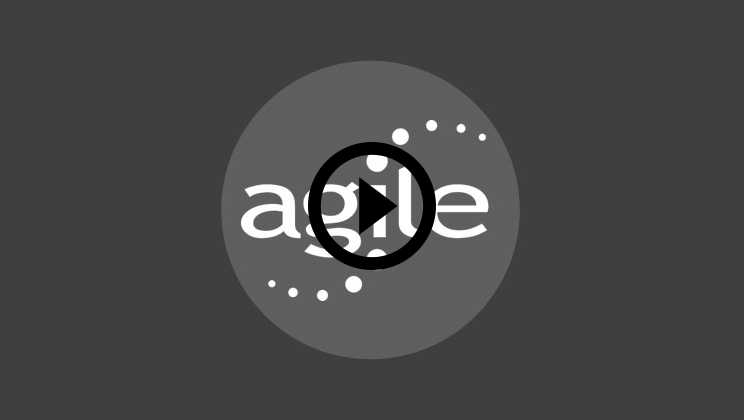 Agile – Grab and hold on to this once-in-a-lifetime opportunities to find all that you need to know about Agile in one place and one training course. This section will tell you all that there is to Agile. Scrum – Learn about this magnificent part of the Agile Framework and trot your way through the different phases of Scrum and how beneficial it can be for your project. User Stories – Learn about Epics and themes and the impact a user story has on building a story map that can help you manage your project in a more concise and efficient manner. Create awesome user stories once you’re done with this section. Estimation – Learn estimation techniques for your software development project and the use of story points from the previous section to further improve your estimation. Planning – In this section, you will learn about the intricate planning that takes place in the Agile approach. Learn the advantages of last minute planning and the concepts of time boxing. Get in close quarters with the iteration plan and how your decisions can make a huge difference. Monitoring – In this section, you will learn about the tools for monitoring and their applications. Governance – Understand the importance of a Project Management Office (PMO) and all the compliance and control limits and the different Agile contract types. Soft Skill – Agile project management doesn’t only work on tools and techniques but also relies on the effective personal or soft skills that the project manager or product owner possesses. What Are the Requirements/Prerequisites for this Online Training? Agile and Scrum best practices have a very unique ring to it and can be used in many different industries as well: they aren’t restricted to software development alone. The methodologies provide a very flexible and open framework to accommodate projects that are very complex in nature, due to various components including the triple constraints. This ability to expand over different situations and scenarios is the reason why Agile and Scrum are ever so popular and their implementations are growing rapidly. There are many practitioners who take up this course in order to solve legacy issues persisting in their organizations and have never failed in their undertakings, subjected to correct use of the framework and methodologies. What are the USPs of this training course for Agile and Scrum Certification? With more than 110 lectures giving you 20+ hours of invaluable information and knowledge on Agile project management and the Scrum methodologies, this course will help you gain a headstart in your ways of management and enable you to gain knowledge enough to take you through Agile and Scrum Certification such as Agile Project Management Foundation Certification, DSDM Atern Foundation Certificate, DSDM Advanced Practitioner Certification, PMP, and many more. You will be learning Agile project management right from the very basics through till topics such as Agile estimation, risk management, Agile metrics, Agile value stream analysis, sprint meetings, sprint reviews, retrospective, and daily Scrum. The online training will help you access the content anytime. What should I keep ready with me when I start attending this course? All you need is a pen, a notepad, and a completely dedicated and committed mind towards the Agile and Scrum training course. These online Agile and Scrum courses come with all training material provided and a learning experience of a lifetime. Do you provide on-site training as well? No. We don’t provide on-site training. But, we provide you with online training that has a unique classroom training feel to it. You will be able to grasp just the same as you would at an on-site training facility only now, in the comfort of your chair. Since this is a certification training, will I receive a certificate of my own? Yes. You will receive a verifiable certification at the end of this training. This Agile and Scrum course was recommended to me by my ScrumMaster who encouraged me to believe in the concepts and methodologies of Agile. It’s the best option for an agile and scrum certification course. The content is brilliant with lots of examples and teachings and you receive a certificate after going through it all. Highly recommended for people who are finding it difficult to understand and apply agile and scrum in your projects. Another good course by EduCBA. Recommended for all product owners. Can implement the teaching to your teams as well. Engaging and very good content. The facilitator is good. The certificate helped me a lot during my job change. You can go for this course and certification. The plans provided by eduCBA are great and I will be taking up many other courses as they give you practical understanding as well. Better than most of the certification training courses out there. Recommended to all who love learning more of project management and succeeding in the job. A big thumbs up and thank you to the team at Educba for their great content and training and for all the support at the back-end. Good to have one reliable source of great training material on the Internet. Knowledge Base: A widened knowledge base in this subject can open tight-shut doors for you and can help you gain better prospects. Level of Knowledge: With a wider base and higher level, be prepared to be a core Agile and Scrum methodologies practitioner for your employers and peers, and, gaining success in what you do. Application: You will learn the application of these methodologies and be able to increase your current value and put you high up the ladder as a key contributor in your organization. Scope: This course will enable you to increase the scope of your current role if you’re already into project management, especially in the enterprise and Agile-led projects. Professionals from around the world have benefited from eduCBA’s Agile and Scrum Certification Training Courses. Some of the top places that our learners come from include New York, Dubai, San Francisco, Bay Area, New Jersey, Houston, Seattle, Toronto, London, Berlin, UAE, Chicago, UK, Hong Kong, Singapore, Australia, New Zealand, India, Bangalore, New Delhi, Mumbai, Pune, Kolkata, Hyderabad and Gurgaon among many. What is good user story? More on What is good user story? how to write good user story? Decide what to do‚ Closure‚ Why Retrospective Activities?